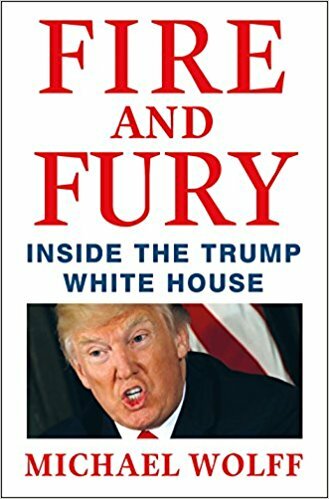 For the second week in a row, we are ending our news coverage with a story I personally find hilarious: after receiving a cease-and-desist order from President Donald Trump’s lawyers, publisher Henry Holt & Co. has actually moved up their publication date of Michael Wolff’s highly-anticipated tell-all Fire and Fury: Inside the Trump White House. The book was originally due to come out next Tuesday, but will be released tomorrow instead, due to "unprecedented demand". Good move, Trump's lawyers! I'm sure Mr. Wolff (and his bank account) are sincerely grateful for your intervention!